A healthcare Third Party Administrator has 11 Pharmacy Benefit Managers (PBM’s) and must integrate the core system with each of them. 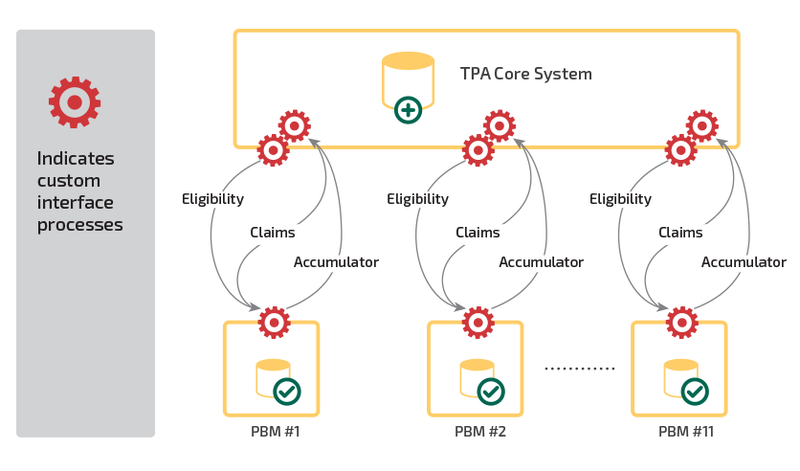 Each PBM has a custom interface process with unique file formats for their claims, eligibility and accumulator files. 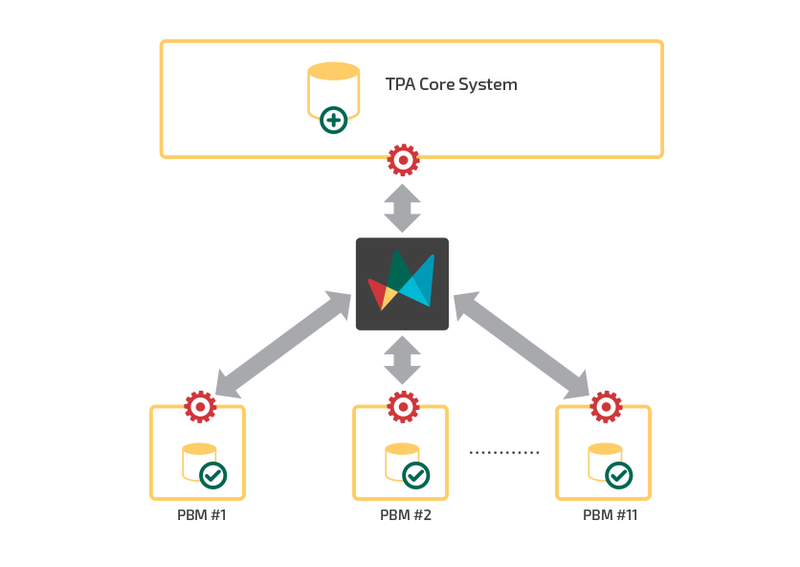 Leveraging DataBridge as an enterprise integration platform allows the Third-Party Administrator to effectively centralize and standardize the PBM data flows into a single hub for subsequent operationalization via the DataBridge management interface.